Our Savage isn't having the best of days is she? Please pop along to my Patreon if you have a moment, as I've threw up a lot of public updates, even some faves or feedback would be gratefully received. 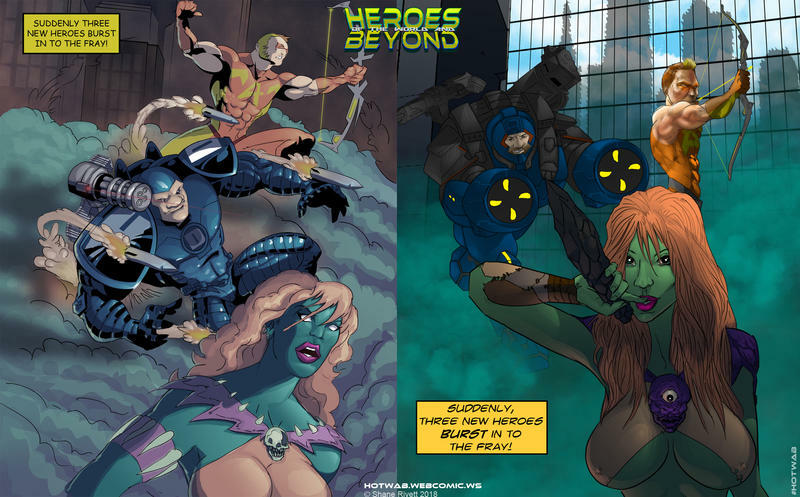 Also here's a promo piece, the left side from 2011 and the right from more recent endeavours. I hope you enjoy the continuing adventures of HOTWAB!